Top (ash) decoration made of Buck-Eye burl. Middle part made of Ebonite and acrylic. Aspida with briar dress as well. 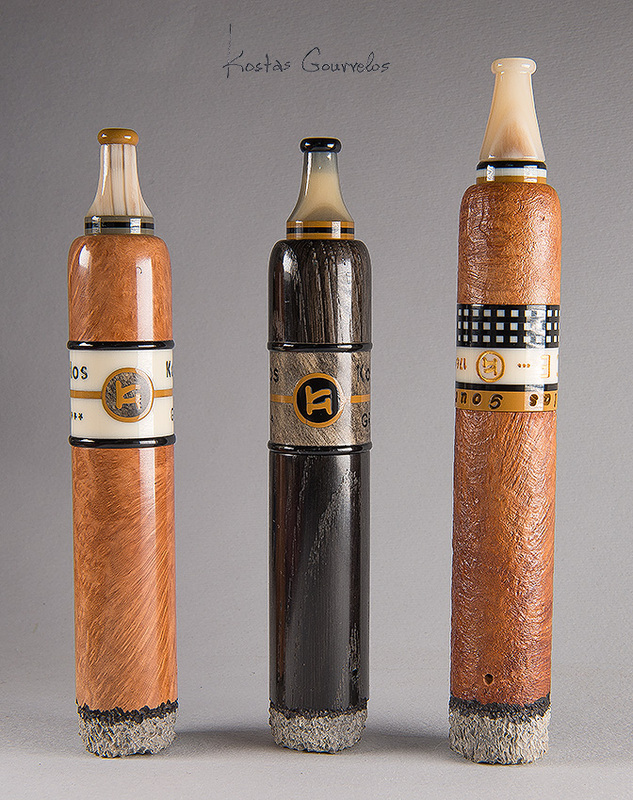 Well, a customer of mine needed a cigar pipe but he is used to smoke using my Aspida system. Thus I had to "invent" a new version. I started studying Zeppelin and Chris Morgan cigar-pipes (as you can see in the last photo), making many sketches and smoking a lot. 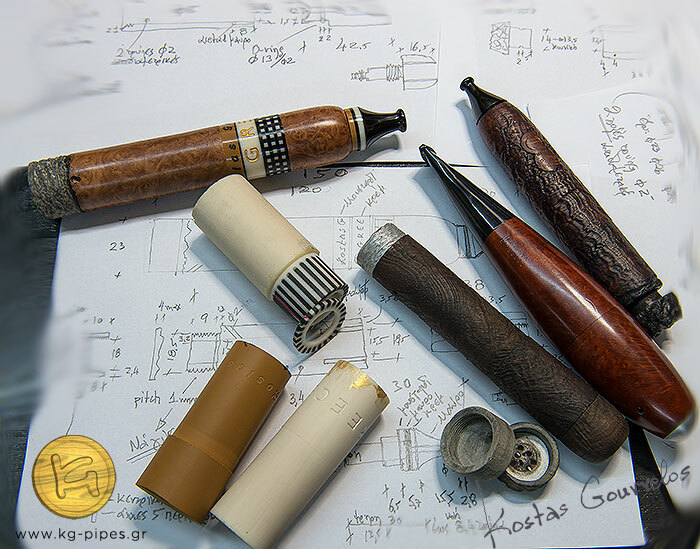 I have made my own test pipe (dark-brown-blasted in the middle), I tried it many times, made corrections and more sketches and finally came up with my own "robusto" ones that you see here.